This fun and flirty Rave tutu skirt is made of multiple layers of Hot Pink organza tulle, which gives this skirt a great fullness. Stretchy elastic to fit comfortably on your lower waist - choose your size from the menu above. Overall Length - 8" long. 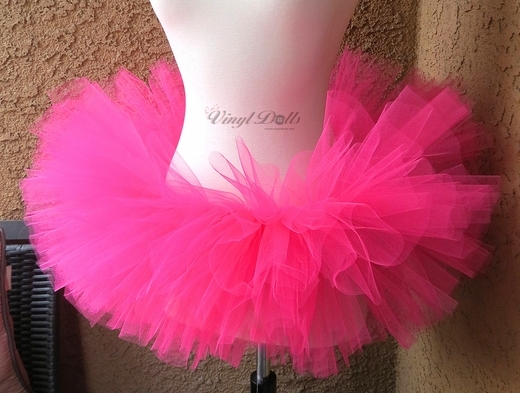 Great for dancers, clubwear, cosplay, Halloween, Burning Man and Ravers.